Is Dry Shampoo Bad For You: How Much is Too Much? Dry shampoo is the modern woman’s best friend. It helps us extend our good hair days and saves us time when we need a quick hair refresher. With so many of us using it generously to keep up appearances, how healthy is it for our hair, actually? 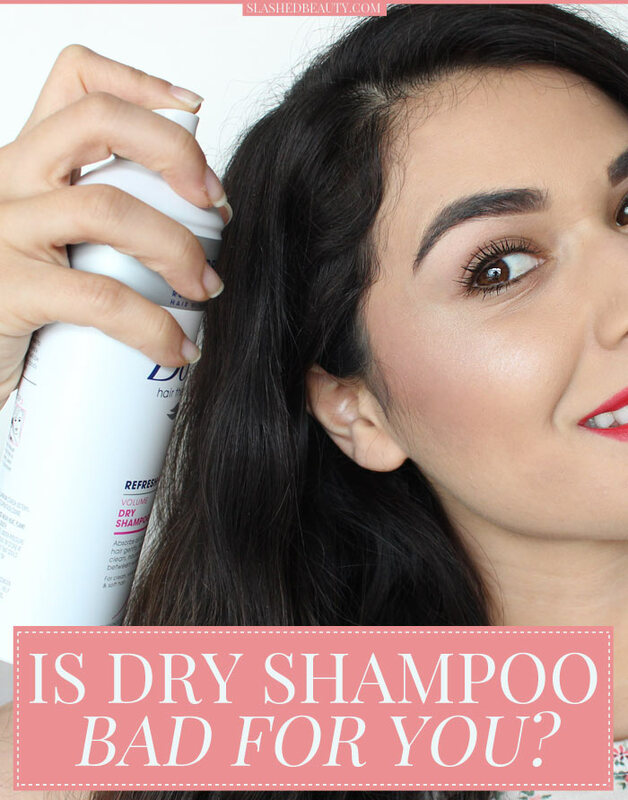 Let’s go back to basics and talk about the main goal of using dry shampoo. When our hair is looking weighed down and oily, dry shampoo can help absorb the oil for a clean look (and smell). The most traditional way to apply is spraying directly onto the roots, where excess oil is most visible, and brushing it through. 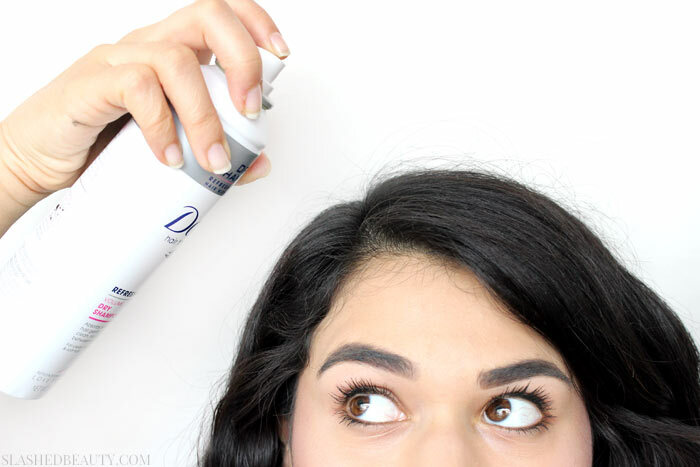 However, many women also use dry shampoo to add volume and texture to their hair as it tends to mattify shine and make hair more manageable for styling. I’ll admit, I’ve definitely leaned on dry shampoo when I’ve just been downright too busy to wash my hair. Sixth day hair is no problem with my go-to (Dove Refresh + Care Dry Shampoo). And this seems to be the norm when you talk to women who swear by the stuff. Especially with so much information floating around about the harm in washing your hair too frequently— which I have definitely preached on this blog, as well— it’s become a routine staple. But how much dry shampoo is too much? The best way to think of your scalp is as an extension of the skin on your face, because that’s exactly what it is! It has pores and hair follicles that need to breath, and that can get clogged when not cleansed. “Too much dry shampoo can lead to a build-up on the your scalp that can block pores which can create painful cysts and nasty pimples,” according to celebrity hairstylist Christina Flach. For example, if your face was oily, you’d probably powder it during the day. You know that’s not a long-term solution, though, and would wash it soon after. Of course, we all know hair doesn’t need to be—or shouldn’t be— washed every day like your face does, but nothing can replace cleansing and exfoliation. Layering dry shampoo for more than a few days can also end up giving you the exact opposite effect you probably wanted. If you’re using a wet formula, it can weigh your hair down instead of giving it a refreshing lift. Hairstylist Tracy Nguyen likes to test her dry shampoo in a unique way. “I spray dry shampoos on my hand before use to feel the texture of the product. 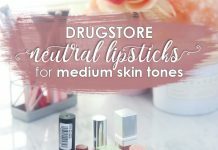 If I think it feels wet, I won’t put it on because it will weigh hair down.” You can also weed out dry shampoos that will make your scalp and hair feel sticky this way. 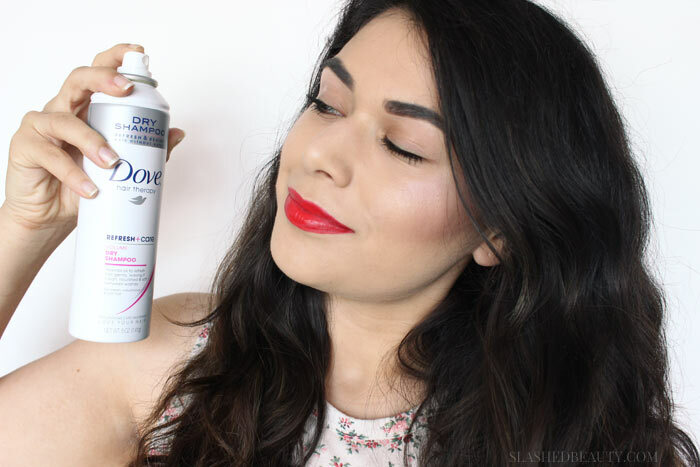 So how do you undo any damage done by layering dry shampoo? “A good clarifying shampoo is needed to remove all of the dry shampoo build-up. My best advice is to alternate washing your hair so that one some days you use shampoo and on others you just run water through your hair to get the dirt out while still keeping your natural oils,” says Flach. I’ve come to think of it like this: If my hair needs dry shampoo, I take it as a sign that my hair needs to be washed that night or the day after. Avoid layering for more than two consecutive days, and your scalp will thank you. Love that one from Dove!